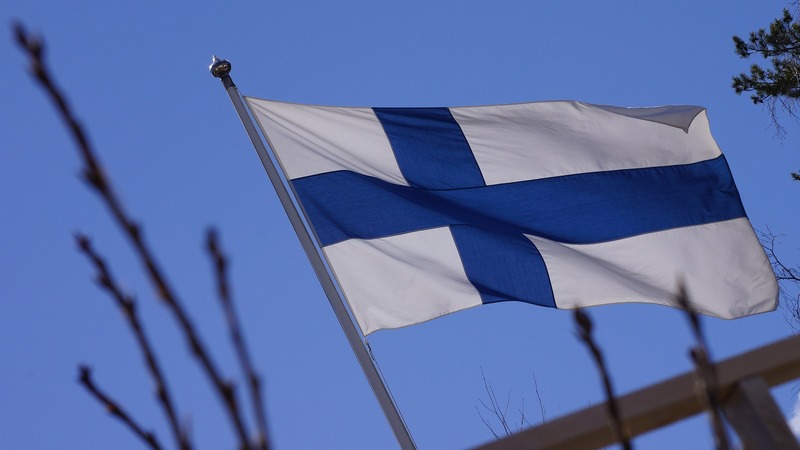 For the past few decades, Finland, the sixth largest country in Europe, has attracted travelers from all over the world. From its art centers to its unsinkable year round Yuletide spirit, Finland can offer any tourist plenty of enjoyable travel experiences. Finland’s Design District is the artistic center of this European country. This area has plenty of art museums, galleries and small shops. The Design Center is also a great place to get souvenirs from your visit. An annual event happens on Christmas Eve in The Old Great Square in the Turku region. The Peace Declaration occurs at exactly one half hour before midnight December 24th. If you’re in Finland during the Christmas season, consider visiting Old Great Square for this wonderful tradition. Yes, cemeteries. However, the attraction doesn’t occur on just any day. For years, the Finnish people have had this tradition of lighting candles for their deceased loved ones every Christmas Eve. Different travelers have remarked how beautiful a sight all of the lights in a cemetery can be on the night before Christmas. Seeing this sight as an international traveler could get one thinking about how different people and cultures celebrate friends and family, both those that are living and those that have passed. Visiting a Finnish cemetery on Christmas Eve could be a very beautiful and unforgettable experience. Fun fact: Finland has historically been known as the “real” home of Santa Claus. The country has always had an indomitable holiday spirit. It could be the influence of one of its jolly sleigh riding citizens or it could be the friendliness of the Finnish people. Whatever the reason for Finland’s high level of Christmas spirit, it helps give the country’s Santa Claus Village an extra level of cheer. This famous village helps the Finnish people, as well as international travelers, celebrate the Christmas holidays all year round. A favorite destination for tourists and natives alike, Market Square is the place to get international meals and foods native to Finland. Market Square is also home to many vendors selling Finnish crafts and souvenirs. Any traveler who is looking for a unique gift or memento from their trip would do well to go to Market Square. This area’s vendors and shops represent some of the best craftwork and native cuisine that the country of Finland has to offer. Cathedral Square, also known as Senate Square, has been called one of the most majestic sights in Finland. What makes the area so extraordinary is the view of the cathedral in combination with the Government Palace, the main building of Helsinki’s state university and Finland’s National Library. If you’re ever in Finland, spending a day in the country’s capital will reveal exemplary examples of European architecture throughout the years. Go down there and take an architectural tour, spend time with the local college students or take an opportunity to learn a few Finnish phrases. When many people think of Finland, they think of ice and winter. This not only bodes well for this Christmas loving country, it can provide optimal opportunities to engage in fun winter activities. One place in Finland where you can do just that is the Ice Park. The Ice Park has an ice skating rink as well as cafes where people can warm themselves and do some people watching. Interested travelers can also watch different shows that are performed on a regular basis. The Ice Park is a great place to visit if you want to get a quintessential taste of Finland. Finland is a country that has so much to offer international travelers. If you’re a modern art lover, you can take refuge in the Design District. International craft lovers can lose themselves in the native artistry of Market Square. In a country as warm and welcoming as Finland, almost any traveler can lose themselves in the beauty of this country for a few days. From lighting ceremonies on Christmas Eve to declarations of peace, Finland could be a viable vacation option for many would be travelers. Think about traveling to this beautiful country today. Why Taking a Ferry Ride from Koh Phangan to Bangkok is a Must!